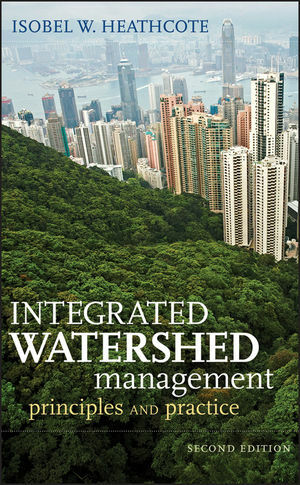 Get the most up-to-date and comprehensive guide to watershed analysis and management. 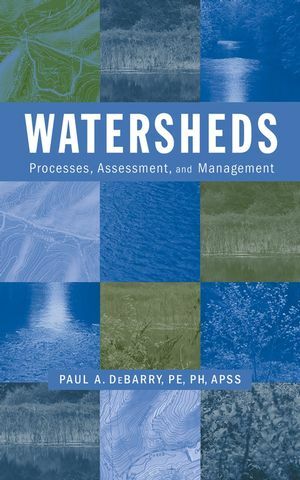 In Watersheds: Processes, Assessment, and Management, author Paul DeBarry covers aspects of watershed physical processes such as assessing, classifying, and evaluating a watershed; using GIS models for watershed assessment; and effectively planning for future use and demands. He covers precipitation, ecology, geology, soils, geomorphology, hydrogeology, hydrology, water quality, hydraulics, GIS, data collection, planning, and management. And he takes you beyond theory so you learn to apply planning, management, GIS, and hydrologic engineering principles in real-world watershed management. This concise reference manual is ideal whether you're a scientist, biologist, geologist, engineer, planner, administrator, part of a citizens group, or a practitioner seeking to identify what is important in the watershed being studied. PAUL A. DeBARRY, PE, PH, APSS, is a senior engineer and head of the Storm Water Management and River/Stream Hydraulics and GIS Section of the engineering firm of Borton-Lawson, based in Wilkes-Barre, Pennsylvania, and is an instructor at the Pennsylvania State University. He has chaired and co-chaired numerous symposia and conferences related to water resources and GIS, and he is a contributing author to the Hydrology Handbook and GIS Modules and Distributed Models of the Watershed. He is a member of ASCE, where he serves on the Surface Water Hydrology Committee and the review committee for the Journal of Hydrology.